We are a boutique bike tour company that specializes in creating a unique cycling experience for each of our guests. We are passionate about cycling and want to share with you the joy and beauty of cycling the quiet scenic roads that surround Collingwood. Whether it's rolling hills with scenic views, flat roads along the beach or more challenging climbs up the Escarpment, we will take you on our favourite routes where you'll discover the beauty of South Georgian Bay. We are all about the journey. We incorporate special stops on all of our routes, whether it's a stunning view, a coffee shop in a quaint town, a butter tart stop or a local craft beer, cider or wine tasting. We love the camaraderie that goes along with cycling in a group and enjoying life atop a bike seat. 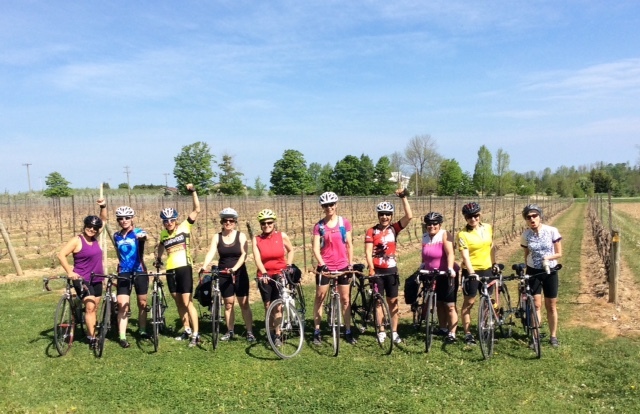 We'd love to take you on a ride and share our love of cycling and our beautiful Collingwood area with you!